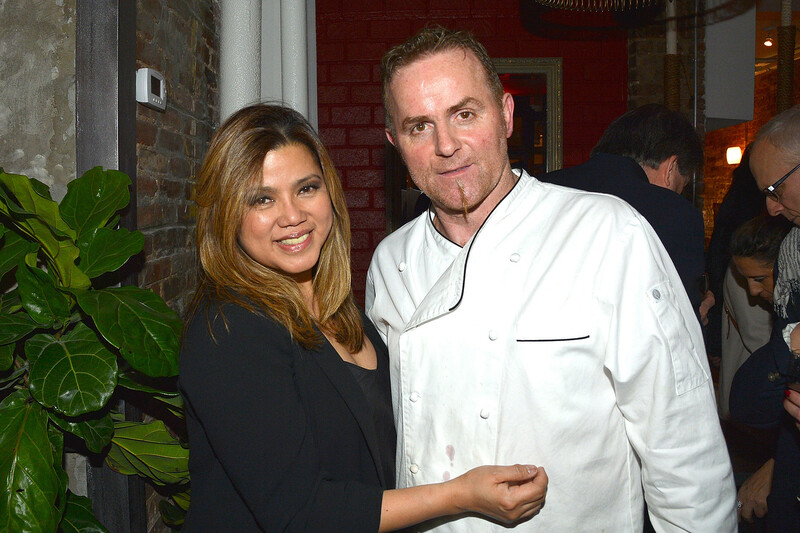 Chef Roberto Deiaco and his wife Giselle are building in the space of a former legend — and expanding their brand to the Upper East Side. The couple recently opened Avena Downtown in the Sixth Avenue location of onetime hotspot Da Silvano, a Page Six staple that opened in 1975 and served everyone from Donald Trump and Yoko Ono to Rihanna until it closed in 2016. Now the Deiacos are adding an informal rustic Italian restaurant next door: Osteria at Avena Downtown, which launches this week, in a shared address of 260 Sixth Avenue. In addition, the Deiacos plan on opening another Avena — after shutting down one in Midtown — inside a townhouse at 22 E. 66th St. this summer. While Avena Downtown Ristorante and Bar offers Italian fine dining and seasonal fare, Osteria will offer comfort food and family-style dishes. The 1,000-square-foot space will seat 54 people inside and 20 people outside. “Da Silvano is an iconic location,” Deiaco said. “For most Italians in the city, the location represented everything that’s great about Italy — food, film, fashion and football. Every Italian actor, artist or football player visiting New York dined there, as did the city’s writers, artists and creative professionals. Everyone went to Da Silvano. Former “Top Chef” contestant Nikki Cascone-Grossman has taken over the famed Village Cheese Shoppe in Southampton, LI. But although Cascone-Grossman will be giving the sleepy favorite a much-needed update, she tells Side Dish that she is keeping the locals’ favorite sandwiches intact, “with minor improvements,” while slowly introducing an updated, and healthier, grab and go section. More serious renovations are underway for summer 2020. “I’m changing it up but preserving the things about it that people love,” says Cascone-Grossman, who will be replacing pre-packaged soups for her own specialties, made daily, along with an expanded salad bar. Cascone-Grossman formerly worked for top chef Jean Georges Vongerichten before opening 24 Prince with her husband, developer Brad Grossman. We hear that New York’s food truck culture is getting some love on April 13, when Grand Bazaar NYC, at 100 W. 77th St., will host its Third Annual NYC Food Truck Fest, featuring more than a dozen gourmet food trucks and 30 “non- wheeled” selections. Entry is $ 3 online or $ 5 on-site to benefit four local public schools.